Welcome to SABAA.education - sabaa-educations Webseite! focussing on the Creative Economy and Industries, on Entrepreneurship, on skills for the 21st Century and Africa, on informal learning recognition . The goal of SABAA.education is to empower, train, and connect people to provide learning opportunities, comprising of relevant and locally / globally needed skills, competencies and knowledge in all sectors of education: pre-school, primary school, high-school, university, and vocational training, informal learning. Thus, to support individuals, groups, societies in that great transformation we all are prone to and that we need to design together: by sharing - caring - understanding - acting. SABAA.education is partner to education related projects in Sub-Saharan Africa and partner to companies, institutional and non-governmental organizations in this field. SABAA.education enables capacity building, thus developing and creating online / blended learning programs. SABAA.education collaborates in projects and proposals, consults in the area of skills and competencies development, as well in Skills for the 21. Century and new approaches to curricula and learning. SABAA.education develops and supports the practice and the idea of social business. SABAA.education aims for sense-making and impact investment. SABAA.education puts the rights and needs of girls and women at the forefront of its doings. We are convinced that education provides the sensible and reliable road towards fair chances and the reduction of poverty. Feel free to contact us in English or German: wuensch@sabaa.education. We are always glad to hear about new projects, funding, proposals, ideas, support, donations. 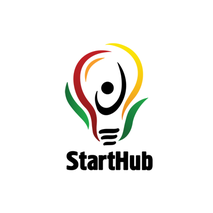 StartHub Africa in Uganda. The implementation of an Entrepreneurship certificate is currently being supported. This is done by StartHub Africa in collaboration with several Ugandan universities. Online modules are being developed, which supported by SABAA.education. In collaboration with Manager without Borders, a foundation in Germany, a relevant set of management skills is being transferred to an online / blended learning course. The aim is to enable small and medium sized companies in Africa in training their and their personal’s specific skills and to train the ability to collaborate globally. The Goethe Institute , Ouagadougou, Burkina Faso, is partner to SABAA.education. After an initial test in March 2018 at the African Bass Festival the plan is to set up an online training course in the field of music production / electronic dance music. A cooperation with the Berlin based companies Ableton, Native Instruments, SRH Hochschule der populären Künste and Piranha Records is underway. Support comes from Music in Africa. The training can be replicated and used in various settings and countries in Sub-Saharan Africa. Start will be in 2019. SABAA cooperates with the University of Dar es Salaam, Department of Humanities, and the SRH Hochschule der populären Künste (university for the popular arts), Berlin, on a four year project. The initiative, sponsored by DAAD (German Academic Exchange Service) strives to reform aspects of the curriculum of the music department in order to strengthen employability chances for students. This will serve as a prototype and blueprint for other university curricula. Donations are welcome and will be used according to the program of SABAA.education. Our yearly report shows our activities - please see under "About SABAA". The donation is tax-deductable under German law as SABAA is a recognized non-profit organization. For the bank account, please see in the left column.